Harrahs online casino offers some bonuses to reward customers when they first sign in. However, there are codes that regulate how these bonuses can be utilized. As a first sign-up, you are eligible to get a bonus of 100% of your first deposit, up to a maximum of $300. However, a customer can't just withdraw the bonus as it is; if they wish to withdraw, they will have to wager the bonus 20 times on slot games. If you prefer or are good at, poker or roulette, you have to bet the bonus 100 times. For video poker or blackjack players, a 200 times wager is required. As a player, you will have 30 days to comply with the code you have chosen. The bonus is issued in $10 installments. Harrahs Casino's focus is to enhance the customer experience, and this is why it issues bonuses to new and existing customers alike. A great deal of focus is centered on new sign-ins, and this is because they are still in uncharted waters. They do not understand how things work and hence are at a disadvantage. This is why Harrahs offers a $10 free sign-up bonus. This bonus is intended to help you master the lay of the land and win some money while you are at it. Another great sign-up bonus includes 20 free spins to use on one of 3 games: the Freaky Fruits, Knights and Maidens, and the famous Euro Reels. The value of a single spin is $0.45, and when added up the value of this promotion is $9. Apart from the free $10 sign-up and the free spins, Harrahs online casino also offers a bonus for your first deposit. This is obviously to encourage customers to deposit and play at the casino. The promotion is as plain as its name; all you have to do is deposit via any of its deposit partner options. Deposit partners include Visa, MasterCard, credit cards, ACH bank, cash at Harrah's casino cages, PayPal, Skrill, and pay-near-me options. A deposit via any of these methods is eligible for the first deposit bonus. The first time bonus is 100% of your deposit up to a maximum of $300. This means that if you were to deposit $300, you would get a $300 bonus, and hence your total balance would be $600. The software used by Harrahs online casino is state-of-the-art and is split into two categories. There is the browser option which is for PC, and then there is the mobile version. The browser version, HarrahsCasino.com, is accessible via the browser pop-up. Harrahs Casino website in its most recent version is suitable for all famous browsers, including Internet Explorer, Google Chrome, Safari, and Mozilla Firefox. The other option of the two is to access via mobile phone. This option caters to those who enjoy Harrahs gaming but who are always on the move or do not have a PC. The Harrahs app is available at Apple's App Store. The app works well on all versions of 6.0 or higher iOS devices. Harrahs online casino does have a mobile app, which is basically a simpler version of the PC-based software. In the mobile App, a user has access to a mere 11 games, including the two famous table games of Roulette and classic Blackjack. At first glance and on first use of the app, an immediate difference is felt as compared with the computer-based software. This difference is easily detected by pro gamers, who would find the app too light in comparison with other online gaming competitors. From the lack of popular slot games such as Ultimate Genie to the lack of brand appeal at the slot terminals, Harrahs needs to step up its app game. The only advantage to the app is the easy cashiering service function embedded on the App. Harrahs online casino was formed as a joint venture between 888 and Caesars Interactive Entertainment. On the eve of 8th November 2013, the two online platforms received the green light from New Jersey Gaming Enforcement to launch their online gambling business. The rules governing iGaming allow a regulated company to have as many as 5 operating domains. The only casino to take advantage of these rules was Bally's Atlantic City, which proceeded to launch HarrahsCasino.com, as well as another four casino websites. So far, Caesars has grossed slightly over $80 million dollars with iGaming and is the 2nd most successful online casino in New Jersey behind the 1st placed partnership of the Party NJ and Borgata online casinos. There are a total of 57 games offered by the HarrahsCasino.com platform. While this amount may appear a bit limited to pro gamers, the inclusion of the most popular games may just make you feel at home at Harrahs. These games include blackjack, video poker and roulette. Harrahs' reputation is enhanced by the progressive-slot playing feature. Its fame was also boosted by being the first online gaming website regulated by the state of New Jersey to give away a seven-figure winning prize. Blackjack offers $1 to $10,000 stake limits, which is reasonable, while the online casino roulette has four options: American Roulette, which has a $5 to $2000 limit; Standard Roulette, with a $1 to $300 limit; European Roulette, with a $5 to $2000 limit; and French Roulette. The VIP program at Harrahs.com is offered in the form of loyalty rewards which you can accumulate and then use to reach one of the 4 VIP levels: Gold, which is basically for beginner-level members; Platinum, which is attained when you accumulate 5,000 tier credits; Diamond, which requires 15,000 tier credits; and Seven Stars, which is invitation only and requires a minimum of 150,000 tier credits. 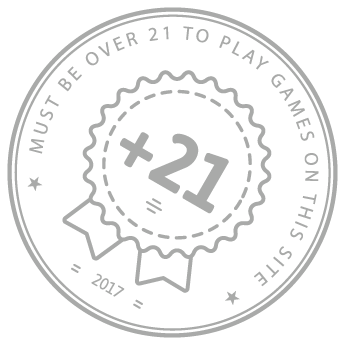 A single tier credit is earned for every bet of $20. Each stage has its benefits, with premium members taking advantage of benefits which include room discounts, access to lounges, annual vacations at Caesars, appreciation gifts and entertainment affiliate destinations. These benefits can also trickle down to beginners and intermediates, as it is possible to convert $1 cash back into 100 tier credits. Online service payment facilities are available from various online payment platforms as well as from banks. Harrahs provides its customers with seven payment options, so as to improve the ease and speed of deposit, with no delays and setbacks. The seven platforms are: 7-Eleven Pay Near Me, ACH bank transfers, cash at the Caesars Atlantic City casino cage, Neteller, online banking transfers, PayPal, and Visa/MasterCard credit/debit cards. The best means of avoiding external fees would be to deposit via an ACH bank transfer or Visa/MasterCard credit/debit card. However, the withdrawal option is limited to PayPal, Cash at Caesars AC casino cage, Bank draft, and ACH bank transfers. The withdrawal fees are very low and are actually waived for withdrawals of fewer than $50. There is excellent 24/7 customer support available from Harrahs to all its members, with various methods of reaching out. The first option would be to call customer support. The first option would be to call customer support. The numbers to reach them are provided on the website. There is also a live chat option, which is fast and efficient but is restricted from 3 PM to 11 PM EST. The other efficient mode of contacting customer support is the Email option, which is also a 24/7 service to all Harrahs customers. The first part of call should be to visit the frequently asked questions sections of the websites for small or technical issues, only when you can't get answers there should you contact the customer support team.